Offshore wind, in contrast to the widespread cost declines and capacity additions we’ve seen with onshore wind and solar PV, has historically been more of a ‘boutique’ resource—a great idea in theory, but still expensive and concentrated in certain parts of the world. That is now changing, as offshore wind becomes mainstream for three reasons: location, advancing technology, and declining price. Trump’s announcement that the United States will withdraw from the Paris Agreement is an unmatched abdication of climate responsibility. This decision needs to be kept in perspective, though. 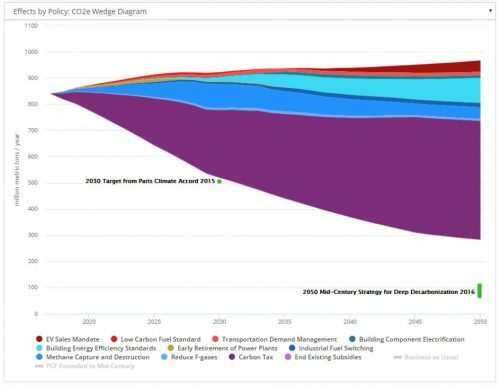 Important reactions and trends will continue to add momentum to decarbonizing the world. California has the most successful carbon cap program in the world. Many state actors have expressed their support for the program’s extension to at least 2030. in order to serve its intended purpose of reducing emissions while generating revenue and accounting for disadvantaged communities, California’s next carbon cap program would benefit from four crucial elements: set price collars, intelligent use of auction revenues, clear strategy for disadvantaged communities, and constraints for carbon offsets. New technology has tipping points—defined by functionality, consumer preference, and price. Clean energy is passing a huge one. It is now cheaper, in many parts of the country, to build a brand-new wind farm or solar plant than simply to pay the operating costs of coal, and sometimes even natural gas. That is the kind of tipping point worth paying attention to. There is clean energy, and cash, on the table—let’s use them to accelerate our low-carbon energy transition.